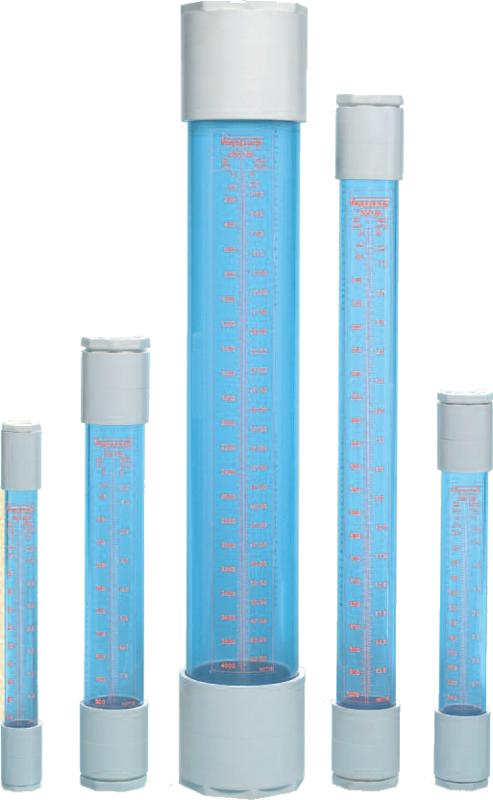 Neptune Calibration Columns provide a fast, easy and economical means of checking the flow rate of your chemical metering pump. The most accurate test of metering pump flow rate is to measure the drawdown rate on the suction side while leaving the discharge undisturbed in its normal steady state operating condition. Pump flow rate verification on a periodic basis or after maintenance is important to system accuracy.